﻿What's one of your favourite words? A bit of a silly question really, because it all depends on the context. I like the word 'friend', as it speaks of common likes and dislikes, and enjoyment of another's company. It's extremely pleasant when you can feel that you have made a new friend. Tony and I have been blogging for about the same length of time, and found that we have many views in common. He also lives around Nottingham, and after a few months of communication, we decided that it would be good to meet up. What better way to do this than to meet for a pint and a sandwich at some country venue. For me, it turned out to be a more than pleasant few hours. We drove down the A46 out of Nottingham towards Newark, and stopped at the village of Farndon. I'm sure that there are more modern descriptions of the village, but I like the one given in John Wilson's Imperial Gazetteer of England and Wales of 1870-1872. "Farndon, a parish in Newark district, Notts; on the River Trent and the Fosse Way, near the Newark and Nottingham railway, 2 miles SW by W of Newark. It has a post office under Newark, Acres 1,710. Real property, £5,915. Pop. 692. Houses 152. Many of the inhabitants are stocking makers. The church is good, and there are chapels for Wesleyans and Primitive Methodists". The A46 running past Farndon is also known as the historic Roman Road, The Fosse Way. This is probably one of the most famous Roman Roads in the country, that linked Exeter in the South West to Lincoln. You may not share my fascination for this road, but to me it is remarkable for its extremely direct route. From Lincoln to Ilchester in Somerset, a distance of 182 miles, it is never more than 6 miles from a straight line. Having travelled through much of England, I can't help wishing that subsequent civil engineers had copied the brilliance of the Romans. For the purists among you, and I know how much you love details, I quote the following. "The word Fosse is derived from the Latin fossa, meaning ditch. 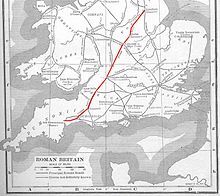 For the first few decades after the Roman invasion of Britain in AD 43, the Fosse Way marked the western frontier of Roman rule in Iron Age Britain. It is possible that the road began as a defensive ditch that was later filled in and converted into a road, or possibly a defensive ditch ran alongside the road for at least some of its length". Interesting or what? It's this road that Tony and I travelled on to the village of Farndon, and The Riverside pub and kitchen. The pub sits by the side of the River Trent, with the sugar beet factory in Newark seen in the distance. 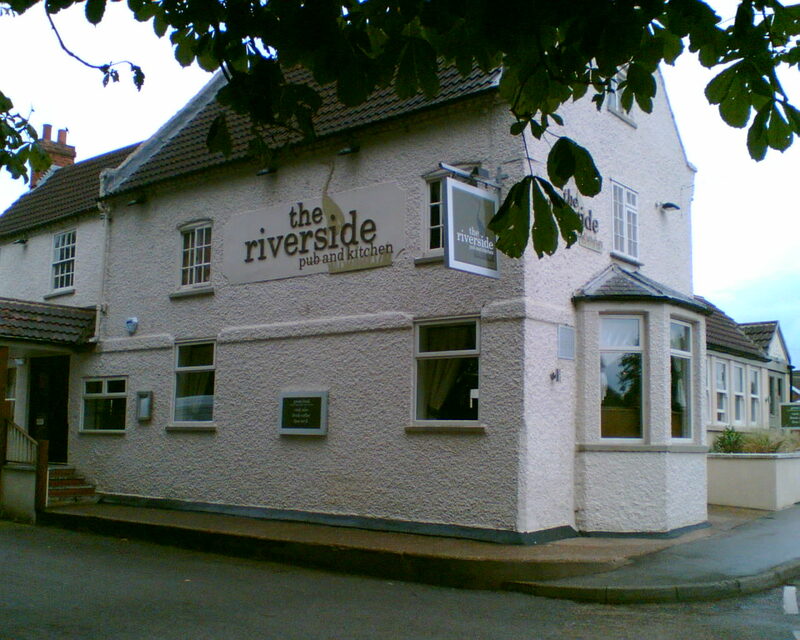 The Riverside pub was formally known as the Britannia Inn, which was originally built in 1763, and was a favourite stopping place for the Trent barge operators. It has undergone extensive and beautiful restoration, along with the name change. Any place that sells 'Old Speckled Hen' beer is OK by me, and we enjoyed the beer and sandwich in very comfortable surroundings. I really do sound like a reviewer, don't I, but I want you to get a feel for the place, and you can learn more here. Opposite the pub, until recent years, there used to be a ferry across the Trent from Farndon to Rolleston. 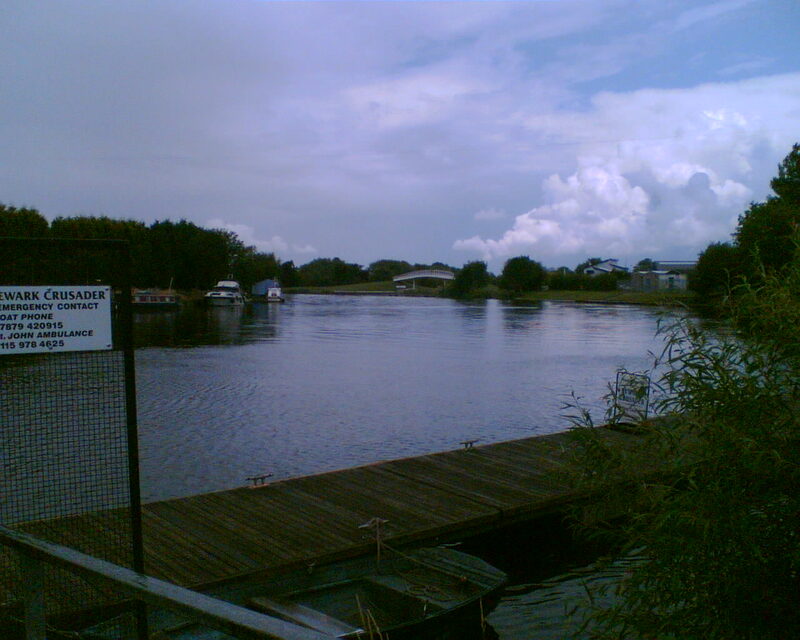 It is now a landing jetty for pleasure craft, taking people up and down the Trent on trips. I liked this newspaper story from August 1948 which said, "The title of Little Hero of Farndon was bestowed on 12-year old Ronnie Ward, after he rescued a child from the river by the Farndon Ferry on Thursday. Seeing the four year old boy in deep water, Ronnie swam out to him and pulled him to the landing stage from where he was carried back to his mother. Amazingly, Ronnie's parents knew nothing about the rescue until they heard the story from eye-witnesses, because their son was too modest to tell them". You really can't beat a good human interest story. Before we had our lunch, and in case it started to rain later, Tony and I went for a short walk along the banks of the Trent, and then a circular walk around the fishing lake. The walk was flat, and all done in about 20 minutes. 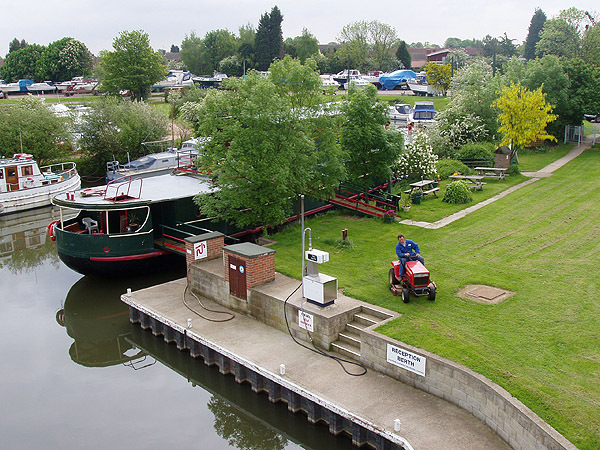 It started and finished by the Farndon Marina, which is a joy to behold, and far more picturesque than many other Marina's that I've seen. To show how the Marina started, I can do no better than quote from the Marina website, history page. "It was a cold day in 1963 when Mark Ainsworth, a passionate sailor and a man with a vision, discovered the old gravel pits at Farndon, near Newark. 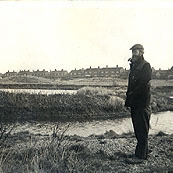 Mr Ainsworth managed to purchase the 25 acre site which was owned by a local firm of architects in 1964. 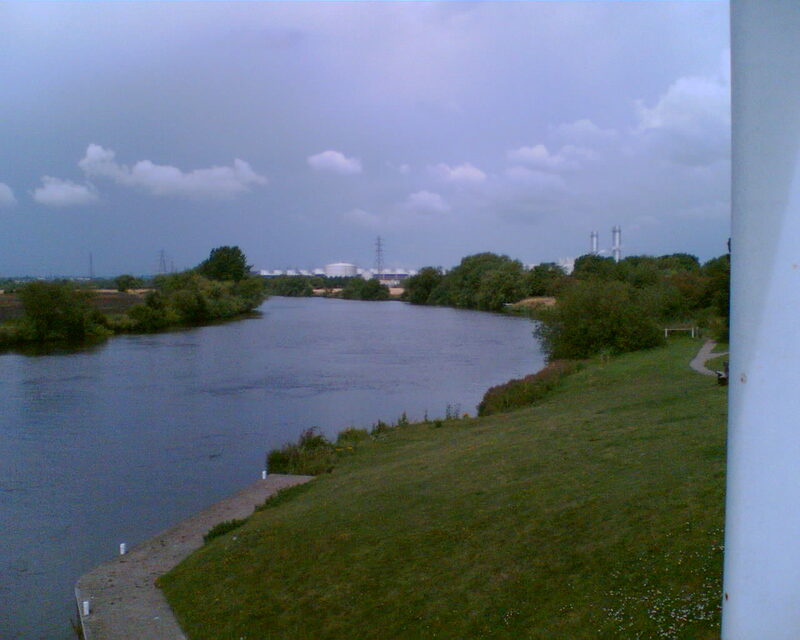 Thus began the creation of Farndon Marina". It's still a family run business today, and is very impressive to look at. It was just as well that Tony and I went for a walk before lunch, because after it, it started to rain. We were out less than three hours, but in that time I experienced many of the things that I love: friendship, pubs, food, rivers, lakes and marina's. So much enjoyment in so little time. Life at times is very sweet.